Ah, Alvin and the Chipmunks, pure classic! I used to watch Alvin and the Chipmunks all the time when I was young. I grew up with these little Rock Stars and it was probably my favorite show back then. I wish I had chipmunks at home as pets! 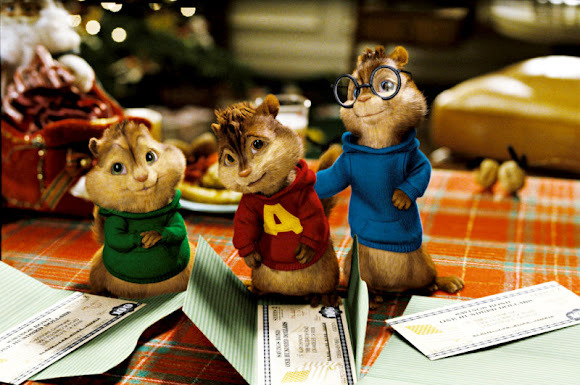 By the way, have you seen Alvin and the Chipmunks: The Squeakquel yet with your kids at the cinema? Did you enjoy it? Well, I missed it! But the good news is, "Alvin and the Chipmunks: The Squeakquel" is available on DVD, Blu-ray and Digital Download NOW!! 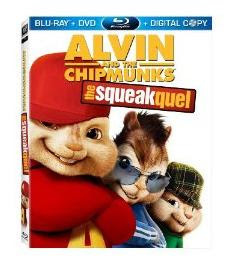 Double DVD Pack includes "Alvin and the Chipmunks 2: The Squeakquel" DVD and "The Squeak Along" Bonus Features DVD. "Alvin And The Chipmunks 2: The Squeakquel": Chipmunk singing sensations Alvin, Simon and Theodore are back for an encore in this hilarious "squeakquel" packed with more action and more nutty fun for the whole family! It's TWICE THE FUN for the PRICE OF ONE! Go buy it now and let the fun begin or visit http://www.foxfamilyflicks.com for More Munk Mayhem! I have no doubt that "Alvin and the Chipmunks: The Squeakquel" is an entertaining film which I will enjoy much. This is a great family film, entertaining for the youngsters and fun for parents, and not just because it's an "origin" story that incorporates snippets of the old familiar songs. And of course, this time they have some competition as viewers are introduced to the Chipettes. Brittany (Christina Applegate), Jeanette (Anna Faris) and Eleanor (Amy Poehler) are ready to rock the world with Alvin, Simon and Theodore! morning Mariuca :-D :-D haha ok cya! 8-) 8-) 8-) LJ! u just woke up? Alvin and the Chipmunks are so cute! Classic. I love to watch them on TV. Have a wonderful weekend, Monica!